A fascinating blend of European influences, unique topography and clashing cultures make Central and South America a truly awe-inspiring part of the world. From lost civilisations to the biggest party beaches in the world; the central and southern reaches of the Americas boast a world of unique experiences. 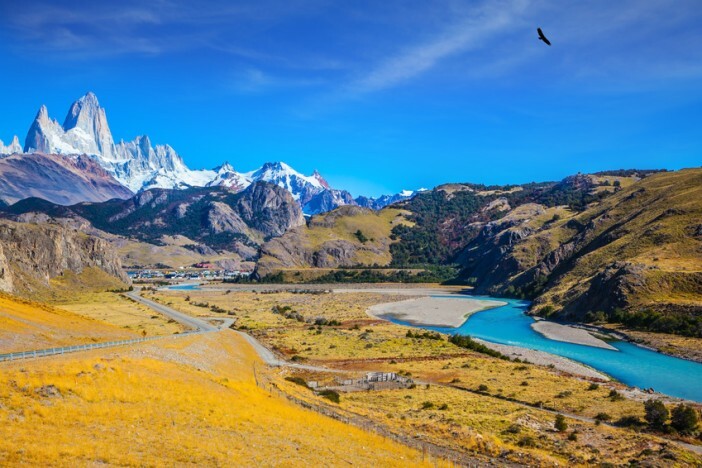 Whilst Brazil and Argentina may dominate this part of the world, the smaller nations hold their own in providing exceptional and unforgettable experiences. Famous for its large party beaches, Copacabana and Ipanema, carnival and staggering statue of Christ, Rio de Janeiro is a complex and mesmerising city. 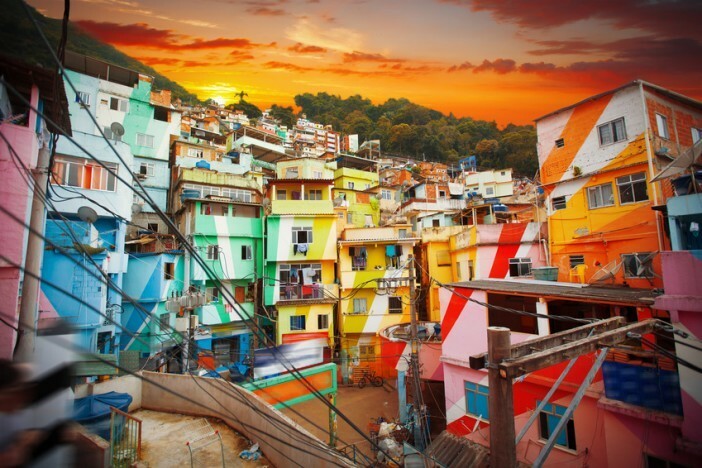 There is nowhere in the world quite like Rio, a simple walk around Brazil’s second city will bestow incredible experience after incredible experience – whether you are visiting for the first time or are a regular patron. 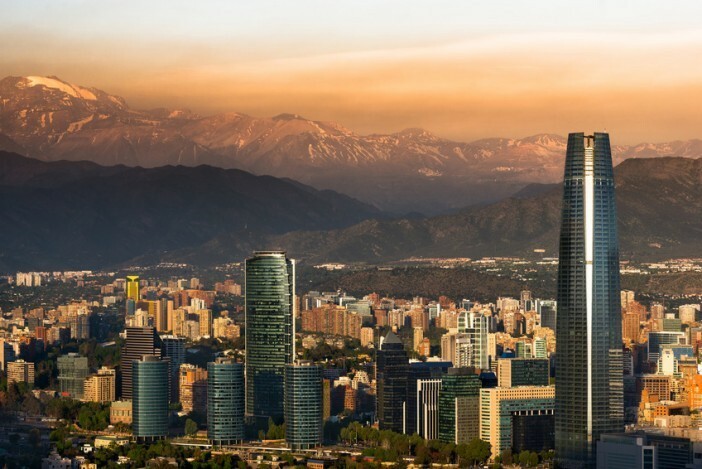 The Chilean capital, Santiago, is regarded as the country’s heart and soul with the colonial streets and architecture playing tribute the backdrop of the snow-topped Andes. Few cosmopolitan cities can boast such inspiring views, and Santiago is well aware of this – positioning restaurants, bars and shops on the top floors of the impressive skyscrapers. With a distinct European atmosphere, the Argentine capital Buenos Aires has developed a worldwide reputation for its vibrant nightlife and passionate tango. At the very centre of the city is the 16th century Plaza de Mayo, lined with stunning stately homes surrounding the iconic presidential palace – made famous by Eva Perón. Despite its small size, Antigua Guatemala has garnered a huge reputation thanks to its stunning, colourful Spanish colonial buildings and volcanic backdrop. 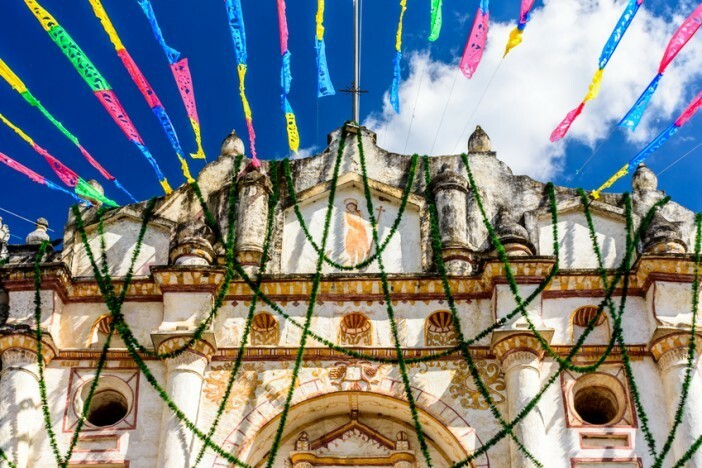 A city of the rarest beauty, Guatemala is built up of beautiful churches, plazas and markets, and is surrounded by undisturbed indigenous communities and coffee plantations. Translating to Red Lagoon, Laguna Colorada, is an utterly stunning spectacle – a shallow salt lake with a deep red hue. 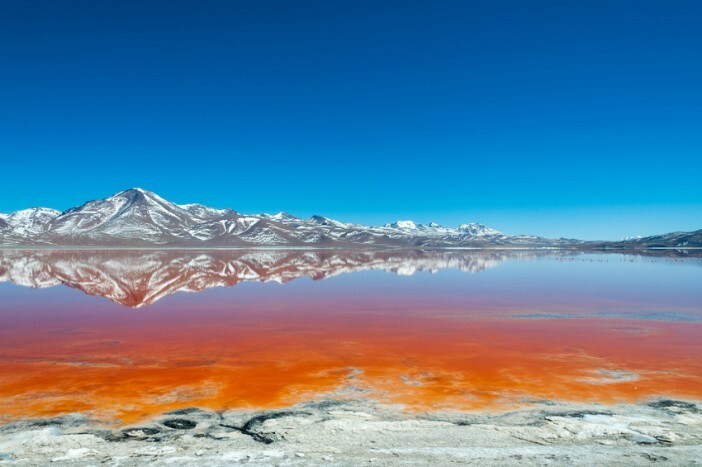 The pigmentation of the algae and plankton have naturally created the red colouration, which is broken up by the geysers and hot springs bursting through the surface and the flamingos gathering around the hot waters. Not far from Bogota, Colombia, and roughly 200 metres below the Earth’s crust, the Salt Cathedral of Zipaquira is a Roman Catholic church built into underground salt mines. Dating back to the 5th century BC, the cathedral is still used today, with roughly 3,000 followers making the pilgrimage down the mine every Sunday. The manmade, Floating Islands of the Uros of Peru, are the charming habitats of the Uros tribe. This ancient tribe built the floating islands to be completely self-sustaining and mobile, allowing them to harmoniously exist with the Earth. Whilst South America may typically evoke images of sun-kissed beaches and year-round sun, the southern tip of the continent can get very chilly. The Perito Moreno Glacier in Argentina is an impressive body of ice – measuring over 19 miles in length and consisting of roughly 97 square miles of ice. Take a look at our latest cruise deals here. Alternatively, call our friendly sales team on 0808 274 6777. Explore Central and South America with our travel guide for cruise travellers.